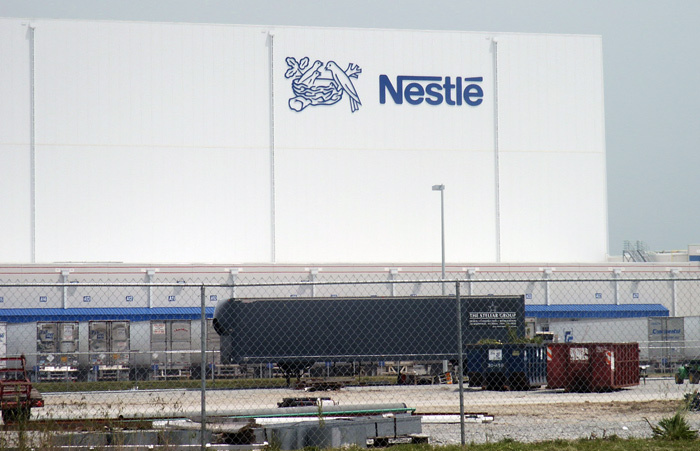 This push through letter sign matches the image of quality that John P. O’Sullivan Distributing wanted to show in its newly expanded facility. Signs by Crannie custom fabricated and installed this interior LED halo lighted wall sign with push through acrylic copy. 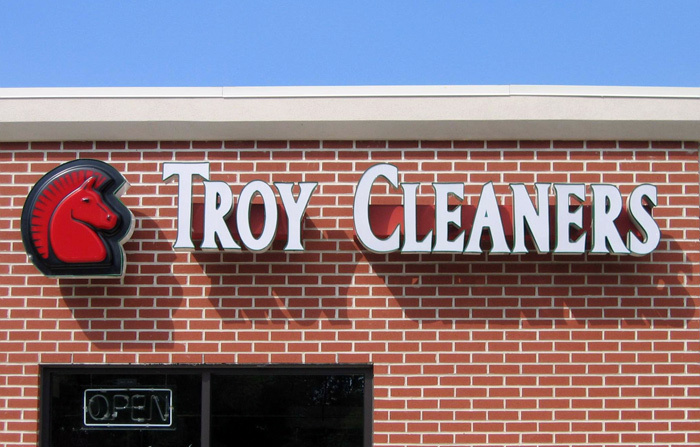 Push thru letter signs are created by cutting or routing the outline of letters, shapes or logos out of an aluminum panel. 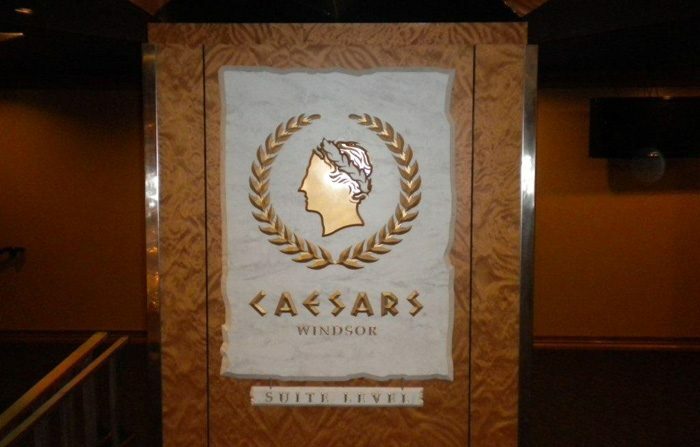 Then corresponding acrylic letters, shapes or logos are “pushed through” the aluminum which becomes the face of a sign. By using a combination of colored LEDs for back lighting and colored vinyl film on the translucent acrylic letters, an infinite number of colors and designs can be achieved. 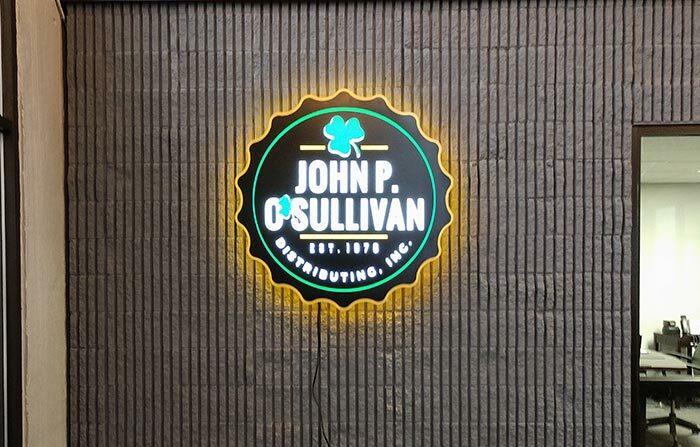 For John P. O’Sullivan Distributing the letters were back-lit by white LEDs, the shamrock was covered in vinyl film, and yellow LEDs were placed around the outside edge to create a halo effect. Push through letter signs can be used indoors or outdoors. 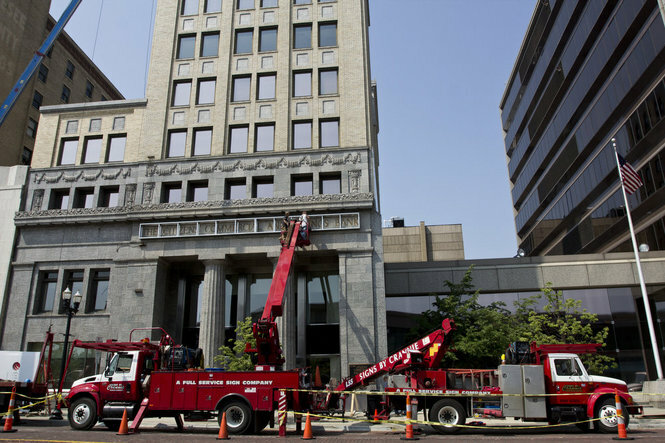 For example, Signs by Crannie used push through letters for the outdoor sign at the Godfrey Hotel in Chicago and the 23 Tap Room in Northern Michigan. 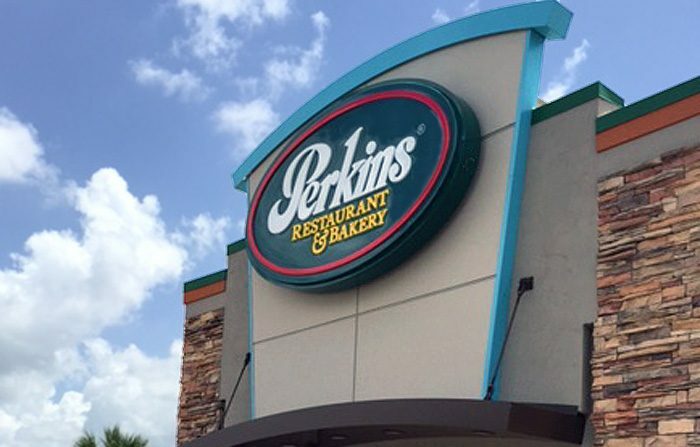 Using a combination of back stud mounting and silicone sealant, push through letter signs mounted outdoors are completely sealed against the elements. In addition to creating their interior sign, John P. O’Sullivan Distributing asked Signs by Crannie to design and install a new sign on their building exterior. 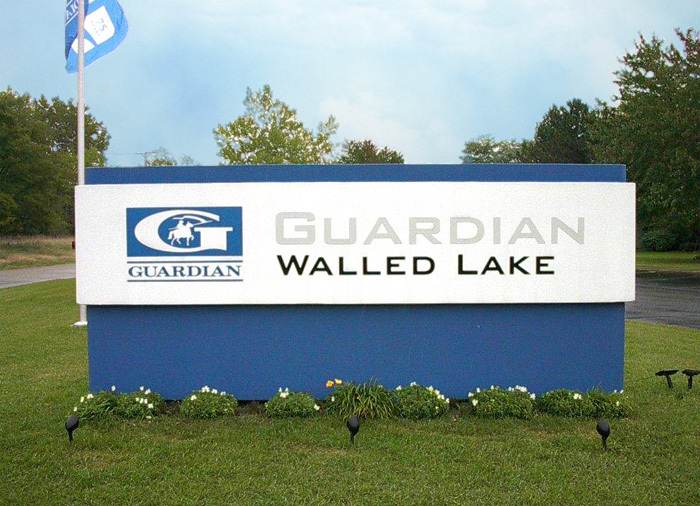 For this project, channel letters were mounted to a backer panel which was then mounted to the building fascia. 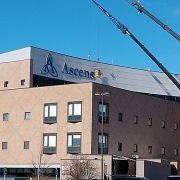 Using LED lighting, this 60 foot long sign will not only be energy efficient, but will require minimal maintenance over many years. Family-owned John P. O’Sullivan Distributors is the Flint area’s main beer distributor. 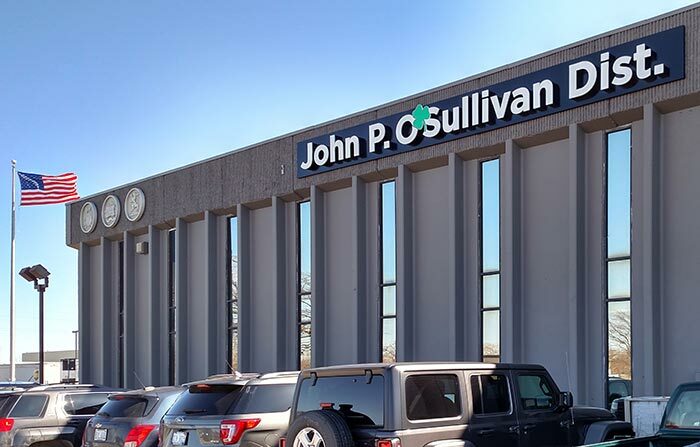 John P. O’Sullivan has a wonderful relationship with the local Flint community and we were extremely proud to help them put the finishing touches on their recent construction and expansion project.